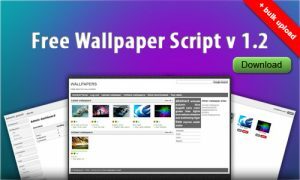 Discussion about Free Wallpaper Script. Installation, bugs, feature requests, modification and other questions. This topic contains 1 reply, has 1 voice, and was last updated by jarco 7 years, 11 months ago. I installed the script and i keep having this error when uploading a wallpaper. what is the file permitted size for wallpaper?